The cliche is the hockey player’s jack-o’-lantern smile, the specter of missing teeth that no other pro sport embodies as much as the NHL. Chief among those that dish out the pain are the enforcers, the men drafted to make their living protecting the superstar scorers. It’s a balancing act of brute force and finesse, of thundering checks and precision slap shots. These are the toughest to play in the NHL, a collection of skaters and shooters who could take a hit and the men who delivered the biggest blows. Note: All stats are from Drop Your Gloves and through Jan. 1, 2019. 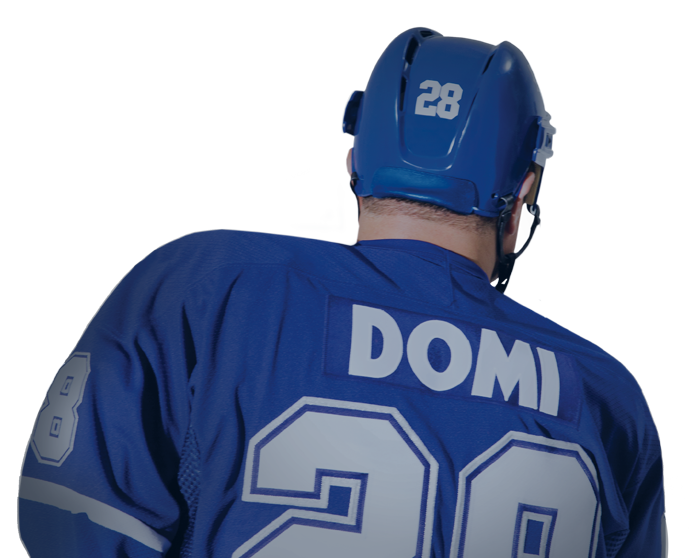 Bottom line: Tie Domi got into a fight on his first NHL shift, setting the stage for a career that would see him become the best-known brawler in the game. “That was my job … to protect my teammates,” he said. 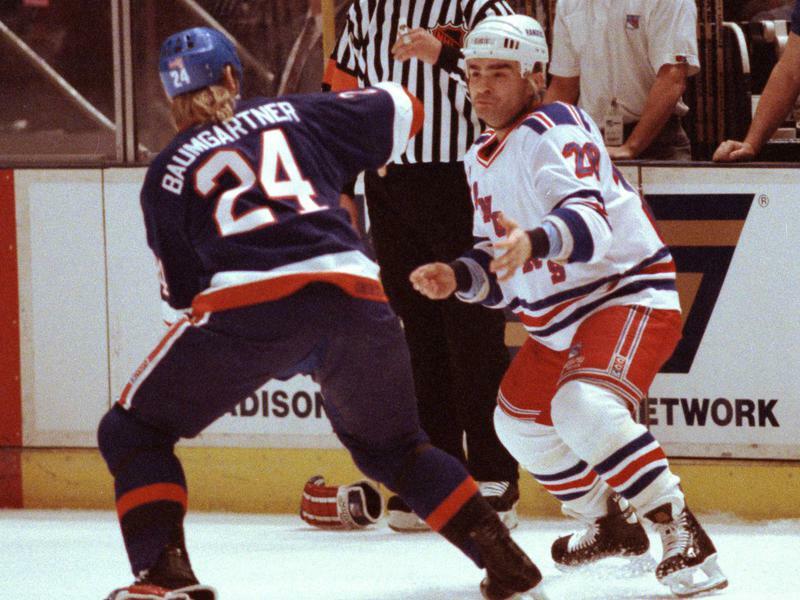 His most famous blows included a sucker-punch knockout of Rangers defenseman Ulf Samuelsson in 1995 after Samuelsson repeatedly called him a “dummy,” and a vicious knockout elbow to the head of Devils defenseman Scott Niedermayer during the 2001 Eastern Conference semis. Domi even got into a fight while in the penalty box (where he spent 3,515 minutes of his hockey career) when he sprayed a heckling Flyers fan with his water bottle and a second fan tried to scale the glass. The glass gave way, and the fan fell into the box with Domi, who promptly punched him several times.